The minimum age is 16. Anyone under 18 must have parental consent. 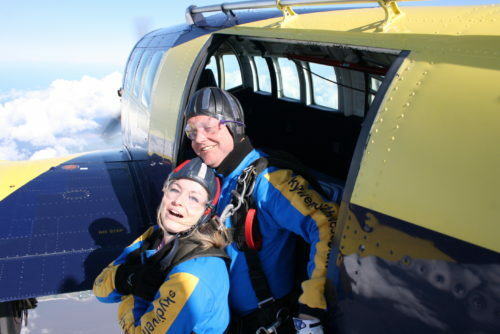 There is no upper age limit for Tandem Skydives. The maximum weight limit is 15 stone and a person must be reasonably fit for their weight. 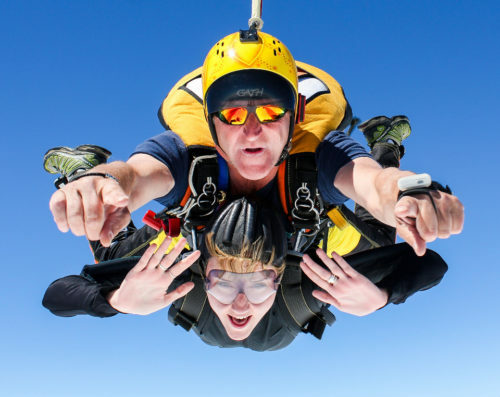 People who have suffered from any of the medical conditions listed on Form 115A must be certified as fit to skydive and have Form 115B signed by their GP. Is this skydive being purchased as a gift? Adrenaline rush like no other! Experience the thrill of freefall from up to 15,000 ft, reaching a speed of about 120 mph! Book a date above or arrange your jump date later. Delivery Information: Skydive voucher and information pack will be posted via Royal Mail. Validity Period: Each skydive voucher is valid for 12 months. Securely harnessed to a professional skydiver, you will free-fall from up to 15,000 ft, reaching a speed of about 120 mph! The instructor deploys, flies and lands the parachute, leaving you to relax and enjoy stunning views of the Lake District. A tandem skydive requires only a few minutes training and is the safest and most popular choice for first time skydivers. Friends and family are welcome. They can watch the skydive and be there to congratulate the skydiver upon landing. A camping and picnic area, café and toilets (including a disabled toilet) are available for everybody. Any action sport involves some degree of risk that must be managed. Very strict safety standards are enforced by the British Parachute Association, making serious accidents exceptionally rare for tandem skydivers in the UK. 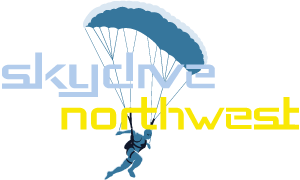 All activities at Skydive Northwest are regulated by the British Parachute Association . All Tandem Skydive instructors are trained and certified by the British Parachute Association and have already done at least 1000 skydives before becoming a instructor. We enforce extensive safety procedures to ensure Tandem Skydives are are carried out as safely as possible. 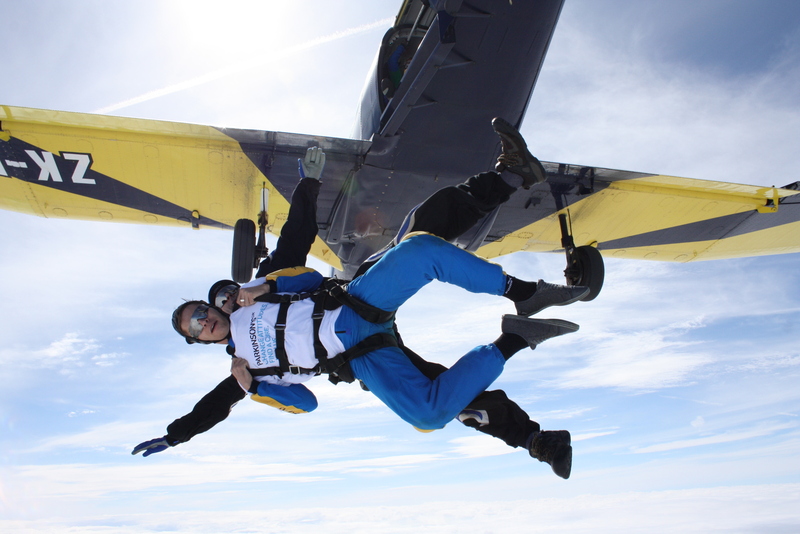 With spectacular views across the Lake District, Lake Windermere and Morecambe Bay, Skydive Northwest is one of the most picturesque skydive centres in the world.